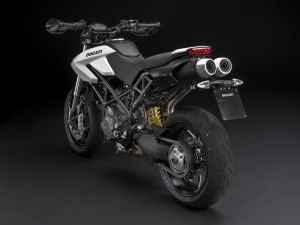 The 2010 Ducati 796 will be available at authorized Ducati dealerships in December 2009. 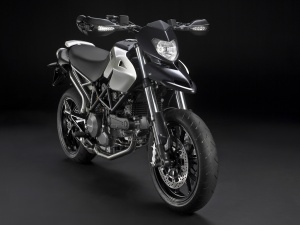 The 796 will be available in Dark finish with a matte black tank and beak section and black wheels or, matte white with a matte black beak will also be available. Purists may prefer the 1100 look-alike red tank, beak and frame with black wheels color scheme. 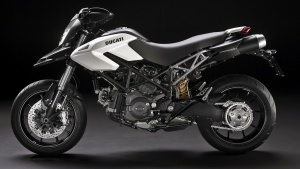 Priced at $9,995 the Hypermotard 796 is a bargain for a hand built Italian motorcycle. 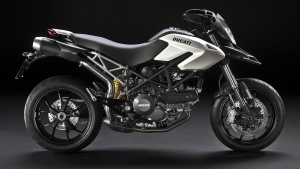 For more information on Ducati motorcycles visit Ducati USA. Photos courtesy of Ducati, all rights reserved. Author: Dwight Domonkos /// submitted on September 24, 2009 - 12:18am. The new for 2008 Suzuki B-King shown here in Gray/Silver.